For this article, we’ve listed the best Razer gaming keyboard, headset, and mouse under $200 for 2018 that are worth the purchase. We have put together 2 picks for each one: Top Choice & Budget Option. From the moment you see the design of the Razer BlackWidow Chroma Keyboard, you know that it is not just an ordinary keyboard. It bears the distinct design of the brand that comes with an amazing spectrum of different colors and lighting that you can personalize. 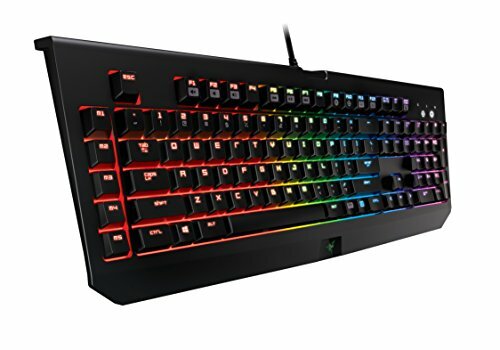 In terms of features, this gaming keyboard is backed with innovative features that include Razer mechanical switches with an audible click and tactile bump that gives you a superb gaming experience. 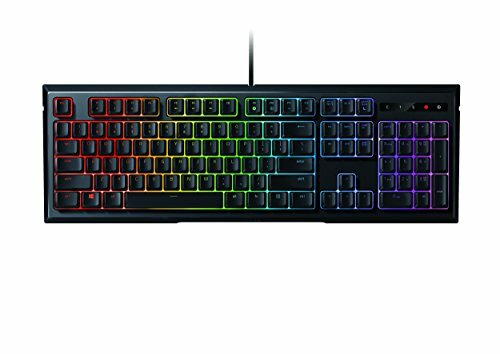 It sports programmable backlit keys that come in 16.8 million color choices powered by Razer Chroma. Other specs include 5 dedicated macro keys, USB 2.0 and audio pass. The gaming keyboard comes with a 2-year warranty and a switch rating up to 80 million which guarantees durability. A cheaper alternative that can also be a good gaming keyboard is the Razer Ornata. This keyboard makes use of Razer Mecha-Membrane that combines the tactile click and the cushioned membrane touch which makes it very easy and comfortable to use. It has programmable backlit keys that also have lighting effects that give you that ultimate gaming experience. What’s so nice about this gaming keyboard is that it has ergonomic wrist rest which is designed for long hours of play. Other features of Razer Ornata include the 10-key rollover, anti-ghosting capability that can handle up to 10 key presses and dedicated gaming mode. Just from the name itself, the Razer Kraken 7.1 is a monster when it comes giving superb audio quality with its 7.1 virtual surround sound. You won’t be disappointed with its quality of positional audio and accuracy. This headset might be expensive but you get to have amazing specs you cannot find in ordinary headsets. In fact, you can even customize the headset based on your listening preferences so you know where your enemy is coming from. For crystal clear communication, it comes with a retractable mic that has mic noise cancellation capacity as well as 50 mm audio drivers. And since it is made from Bauxite aluminum, it is flexible and very much lightweight. 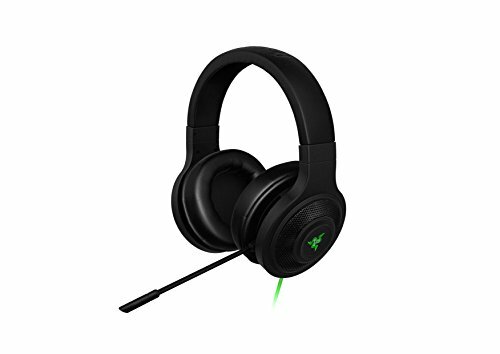 If you are looking for a cheaper option that can still give you high-quality audio experience, the Razer Kraken USB Headset is also a good buy. Compatible with your desktop and PS4, this is a must have for any gamer as it gives you positional accuracy. It comes with 32 mm drivers and a frequency response of 20Hz-20k Hz. How about the quality of mic? You never have to worry about audio reproduction as it is very clear and there is almost little or even no background noise. Even when you use it for extended hours, you won’t have a problem with its ear cups that have plush padding. Dubbed to be one of the best choices of a gaming mouse, the Razer Mamba gives you that excellent precision and accuracy with its 16,000 DPI sensor. It comes with Click Force Technology that is adjustable and gives you that customized click feedback. To make your game more enjoyable and for you to have better moves, you never have to worry about chords since this mouse uses wireless technology. One of the innovative features of this mouse is that it can track 1 DP1 increments with precision. And when you install the Razer Synapse, you can also access to different DPI options so you can easily configure to the buttons of the mouse. A gaming mouse that is not that expensive but can still give you that excellent specs and flexibility, the Razer Diamondback Mouse is truly a great choice especially since it is designed to suit different hand sizes and grip styles. Whether you are left or right handed, you will find this mouse very comfortable to use. 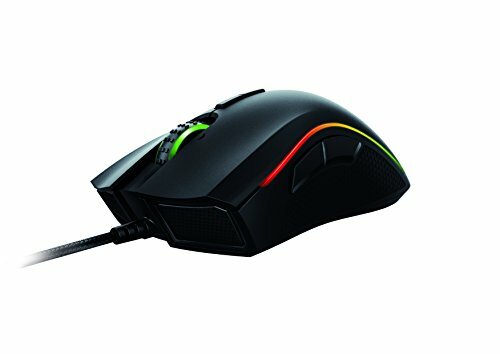 The only downside of this mouse is that it does not have powerful specs compared to Razer Mamba but it still has 16,000 DPI sensor for precision and it also features 1 DPI adjustments capacity. 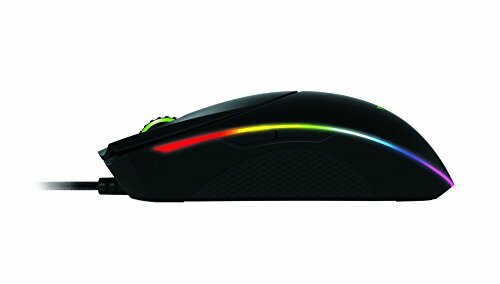 You can also customize your mouse with its Chroma lighting that comes in 16.8 million colors. Whether you are just playing computer games once in a while or it is really your hobby, having the necessary computer gears in your arsenal sure makes a big difference. It makes the gaming experience much better and it takes you to an entire different world. Among the best brands to choose from is the Razer.